Disney is introducing a new MagicBand device that ties into a new service that allows theme park visitors to make purchases and reserve experiences. 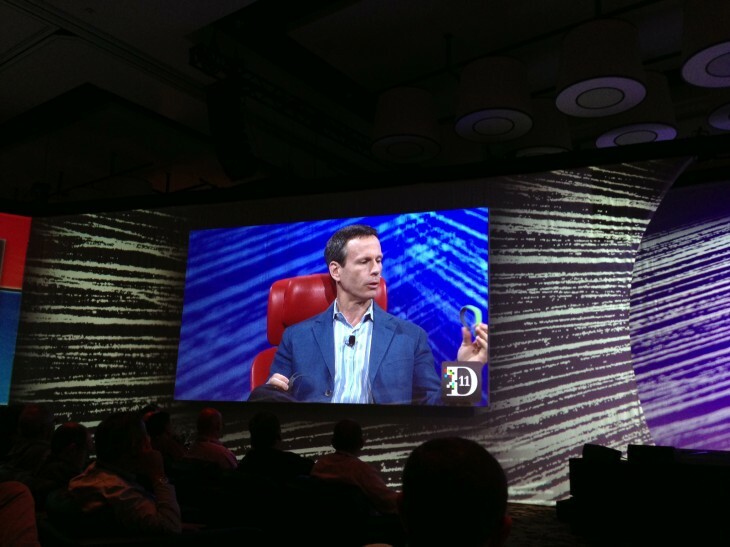 Thomas Staggs, Chairman of Walt Disney Theme Parks and Resorts spoke about them at D11 today. The new MagicBands will be enabled at Walt Disney World over the next few months after a roughly two-year pilot program, and those will be tied into the MyMagic+ service, which Disney has been working on for around six years. The bands are a colorful wrist device made of rubberized plastic that will allow visitors to the park to tap on check in points to enable various experiences. The bands are adult and child-sized units with both Bluetooth and RF technology inside for long-range and short-range reading. The bands can be ordered online and come free with purchases of tickets or packages. The bands can be used to keep track of your park passes, Fastpass passes and can be used as your hotel room key. The bands are delivered to your home ahead of your park visit and can re-used. Staggs says that collecting Fastpass tickets especially causes a lot of separation of family groups, which is very true. When we visit the park in California, Fastpass strategies (along with parent swap tickets) are a major part of our daily planning. With the MagicBand, you’ll be able to pre-arrange for a number of attractions including E-ticket rides and events like character meetings, parades and fireworks shows. “When we decrease people’s anxiety, they have more fun at the park,” Staggs explained. The band is designed to help reduce the amount of time people spend strategizing and increase the time they spend enjoying the park. It’s not coincidental that the bands will also aid in preventing ticket fraud or lost tickets. Disney has been undergoing a project over the past year or so that involves them shooting images and associating those with people’s tickets as they enter the park. This prevents people from swapping tickets and severely mitigates the sale of partial tickets, something that was once a booming business on eBay and Craigslist. With a band acting as your ticket, your picture is automatically associated with it. The bands can also be used to pay for items in the park by tapping them on a payment pad at vendors. The payment system involves a random code that is associated with an encrypted record that Disney keeps for that band. The bands are non-transferrable and used by one person only. You can disconnect your band from your account remotely if it’s lost or stolen, and purchases are limited to $50 unless a pin code is entered, which will help with fraud. Any band can be limited to not allow purchases at all as well, or have a spending limit set. This means that you can give your kid a band and a budget and let them make as many of their own purchases as you let them. But payments and reservations aren’t the only things that the MagicBands are designed to improve. It will also enable things like a character calling your kid by name. “The more that their visit can seem personalized, the better. If, by virtue of the MagicBand, the princess knows the kid’s name is Suzy..the experience becomes more personalized,” says Staggs. Right now, Disney is testing tech that will allow them to make Mickey’s Mouth move and speak (this is currently used for some corporate presentations). The long-range Bluetooth reading will also allow them to see the flow of traffic rolling past particular points in the park. Tracking when individual bands do so is obviously a tricky privacy question, but Staggs says this will be opt-in. Opting in, though, will have benefits because it will trigger even more personalization. When the attraction knows a particular person is there, for instance, it could know that it’s your kids birthday and customize the ride for them. A ride could deliver a Small World doll that they created online for instance and Stagg said that it could be possible for rides like Pirates of the Caribbean to talk to you specifically in the future. “The things that people are requesting to reserve are not just big rides…but reserved seating for fireworks and the parade,” says Staggs of the pilot program. This way, people arrive just in time with reserved seating, rather than congesting those areas. This allows Disney to fire up events in particular areas of the park to better control flow. I’m interested to try the bands out myself, especially as we’re regular visitors to the parks. Expect to see them roll out within the year in Disney World and later at Disneyland and overseas.